Functional Design with Non-Skid Base, Heavy-Duty Pestle Press. 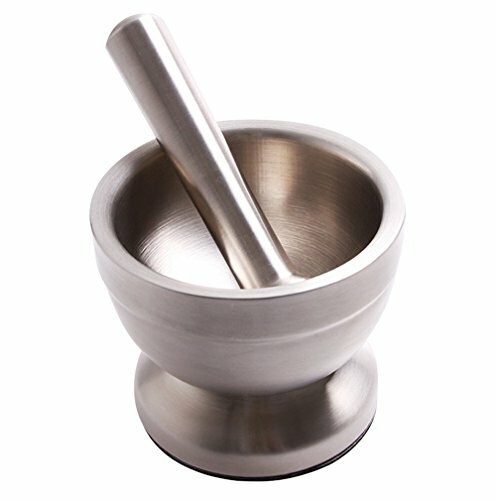 This handy stainless steel mortar and pestle set is great for crushing, grinding and mixing herbs and spices. Heavy gauge, durable stainless steel is easy-to-clean, and will not wear out.